Heather Schneider is a Golden native and an apple that admittedly didn’t fall far from the tree—her parents were very civic-minded and so is she. Ever since moving back to town in 2008 with her family, Schneider has been involved in a variety of Golden organizations including Leadership Golden, Golden Schools Foundation, Golden Young Professionals, Visit Golden and now she is the Executive Director of the Golden Civic Foundation (GCF). The Golden Civic Foundation provides small businesses with loans that help them succeed and runs an Annual Community Grant Program that has provided over $5.1 million to charitable organizations, public schools, museums and cultural centers in the greater Golden area since 1970. 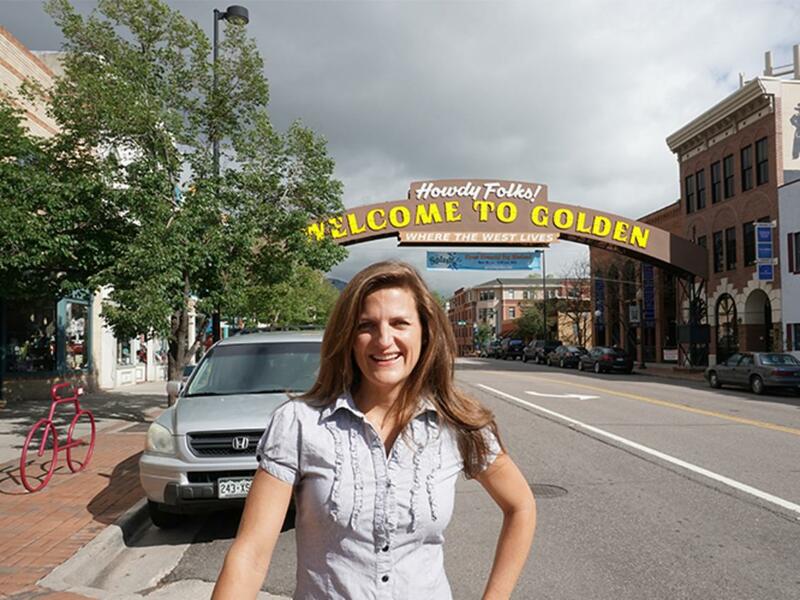 Last year alone, GCF gave $100,000 to 40 nonprofits in Golden. My favorite way to start my day is to sneak out of my house early in the morning (before the kids or husband are awake) with my two dogs and run to the top of South Table Mountain. It feels like such a great accomplishment to stand on South Table, overlooking our beautiful city, and start a fresh new day in Golden. On the run home, I like to stop into Pangea for a large cup of their dark roast coffee. This is my favorite coffee place in town! For lunch, I would have a meeting with Jen and Bob Toohill at Bob&apos;s Atomic Burger. These folks are truly amazing for both running a successful small business and also for their involvement and investment in local nonprofits. After work, I&apos;d take at least one of my kids to Peak Cycles to fix their bike (we bike everywhere in Golden), then to the Colorado School of Music for piano lessons, next to Del&apos;s Tonsorial Barbers for a haircut, then to buy a birthday present (since present wrapping is free!) at Avenue Gifts. If we have time, get my jewelry fixed and cleaned at Creekside Jewelry and then buy a needed household item from Meyer Hardware. That evening we&apos;d get a babysitter and my husband and I would have a Golden date night. Although there are so many great restaurants in Golden, I am excited to try Dean & Aimee Valdez&apos;s NEW Old Capitol Grill & Smokehouse. They recently purchased the business and have completely redone the menu and renovated the interior. Finally, we would go try State 38&apos;s new tasting room. Owner Sean Smiley has created a great ambiance along with some fantastic spirits in his new tasting room located on the corner of 12th & Washington next to the Buffalo Rose. Luckily, we live in downtown Golden so we would enjoy a nice walk home through the Golden History Park and then along the Clear Creek path.